I decided to look up the names of the hurricanes/tropical storms that have already impacted the US, along with a couple of storms that are still out in the distance, but could be heading this direction. What I found is quite interesting. I’m not sure if the meanings behind them are significant, but IF they are, is this the meaning? As a nation, we think we are at peace, living spaciously with our blossoming economy, but the Lord is lighting the torch on our nation and He laughs. and wondering if there is significance to it. 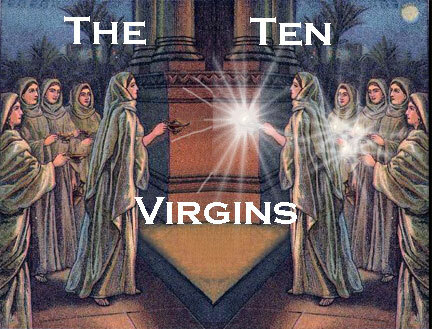 In Matthew 25, we see the parable of the 10 virgins. In verse 5, it tell us that ALL of them fell asleep while the bridegroom delayed. Judas and the Anti-Christ are the only ones in the bible who are called the son of perdition, so this means we should be able to pick up some hints on the Anti-Christ by studying Judas. Now at the Last Supper, Jesus clearly revealed to the disciples who the son of perdition was. I recently read in a book by Jacob Prasch that just as He revealed it to the disciples, so will He show us who the son of perdition is. But here’s something interesting. AFTER the Last Supper, they went out and Jesus was praying. This is after revealing to them who the son of perdition was, and what do they do? They all fall asleep. Jacob said to watch for this to happen. Once the Lord reveals to us who the son of perdition is, we must be careful not to fall asleep. I thought that was a very interesting insight and admonishment. 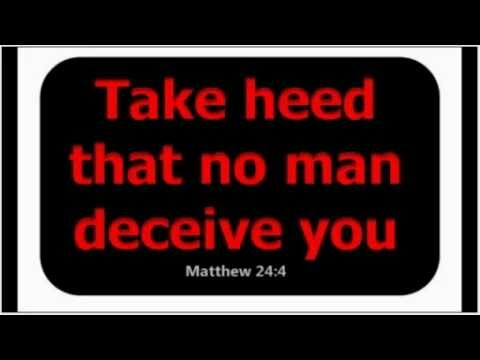 And when you add in the 4 times that Jesus told us in Matthew 24 to take heed that we are not deceived, it makes sense. It will be so easy to fall for deception that we must constantly guard ourselves and keep our armor on so that we don’t fall for it. I got to pondering… what was the reason they fell asleep? So I read all 4 gospels on this. John said nothing about this. Luke 22:45 said He found them sleeping FOR SORROW. Which I thought was interesting in itself. Why were they sorrowful? I only have KJV. What do other translations say? Matthew 26:40-46 & Mark 14:37-42 said the same exact thing. Jesus came 3 times and found them asleep. 1st time, He told them to watch & pray so not to fall into temptation. 2nd time, sleep again because their eyes were heavy and they didn’t know what to say. 3rd time, He tells them to sleep on, take your rest: that’s enough the hour has come. Rise up, lets go.. Then Judas shows up. We might fall into one or all three sleep patterns too. Like the 10 virgins all were there. 1st time its said the spirit is willing but the flesh is weak. Is falling into temptation letting our flesh take control? It is the easier road. The 2nd time — just so tired of all the false flags we can’t see to answer Him, when the real thing stares us in the face. And 3rd like the virgins, half stayed asleep (empty lamps, flesh) and half heard the call and rose up (full lamps, spirit ready) and left with the bridegroom. I’m reading a book called Revelation Deciphered. The author has a very common-sense approach to this controversial topic. He makes it easy to understand and very logical as well. He points out that what Jesus did NOT mention as signs of His coming and how that is important in helping us to understand the timing of events. So Jesus answered EXACTLY what would happen BEFORE His coming. What He did NOT mention was the trumpet and bowl judgments. Why? Because they happen AFTER He comes to get us. Now before you say, “But in Matthew 24:30-31, it is referring to His second physical return to earth!” Many people believe this because we have been taught this for years. However, let’s compare those verses with His 2nd physical return in Rev. 19. 2. Blows a trumpet 2. Has a sword coming from his mouth. 4. Comes to gather his elect. 4. Comes to destroy the AC. As you can see from the above, these are TWO DIFFERENT THINGS! Scripture compared against scripture — it is VERY CLEAR that these are two different events. For those of you who already believe in a pre-wrath rapture, this book makes the whole topic easy to understand, and gives us a better way to show/explain it to others. For those who are just now hearing about this topic, I encourage you to read through other things I’ve posted in the End Times section.